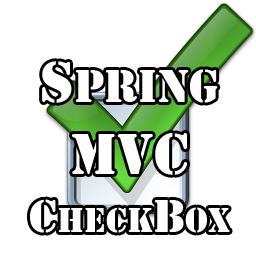 I have already published the post about processing of ‘checkbox’ tag using Spring MVC tag library. Now I want to develop this theme and proceed with the ‘checkboxes’ tag. It’s not much harder, but in some cases you’d better to use it. In this article I will provide examples of Spring ‘checkboxes’ tag in conjunction with java.util.List and java.util.Map, so be ready to examine two examples. Before I start demonstrate the examples, I want to talk about a purpose of the ‘checkboxes’ tag. So when you should use it? The answer is obvious, if you want to generate your checkboxes in a runtime you have to use the ‘checkboxes’ tag. This will help you to avoid hardcoded values in JSPs. The ‘checkboxes’ tag can collaborate with arrays and java.util.Collection’s. Further I’m going examine two cases with the List and Map. The first example will be with the List. As in previous article I have to create a POJO and declare there desired List property with appropriate getter and setter methods. After I created the domain model, I should develop controller with two methods – the one for navigation on a page with checkboxes, and another for processing of the checkboxes. Here I need to make a pause and explain what’s going on. In the ‘checkboxes’ tag I specified the path attribute. 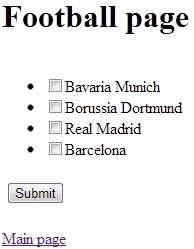 The value of the attribute corresponds to the appropriate field of the FootballTeams class. The items attribute contains value of the list, which I generated in the controller’s footballPage() method. Here I just go through items which were selected on the previous page. Pay your attention that labels and values for the checkboxes were the same, as I specified in the list. If you want to have the different value and label for one checkbox, you have to use java.util.Map. The second example will be with the Map. So as you suppose I’m going to show how to use different values and labels for same checkboxes. The structure of the section will be the same as in the previous one, so let’s start! Don’t panic, that you didn’t see any Map field in the class, you will recognize this later. 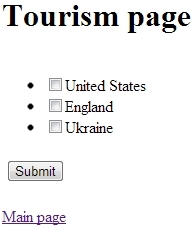 Here in the tourismPage() method Map appears on a scene. Map’s keys will be used as values of checkboxes, and Map’s values will be used as labels of checkboxes. It’s time to explain, why there is no Map field in the Tourism class. As you see, just Map’s keys are displayed on the result page. So key-value pairs are not passed to the model. From the tutorial you can make a conclusion when ‘checkboxes’ tag is better to use. 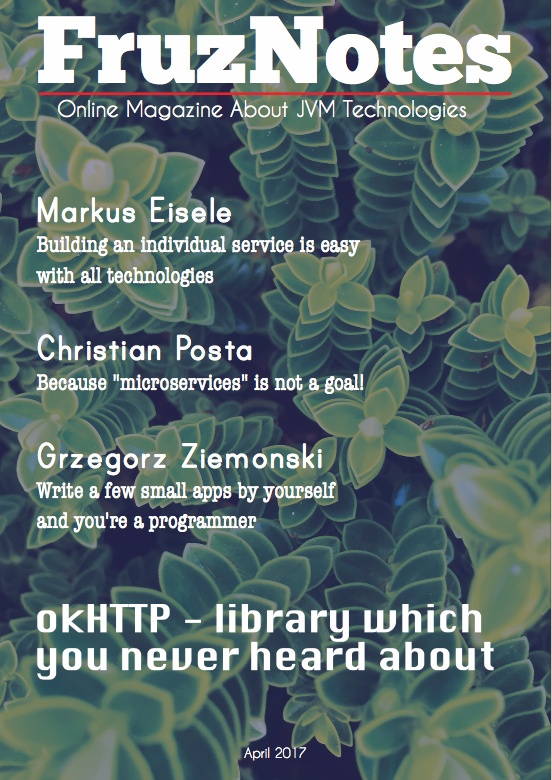 Spring MVC is very flexible framework, and it provides certain tools for the certain tasks. Use Map or List depending on aims. The source code you can see on the GitHub.